One of the most common sewing machine problems is skipping stitches. It can be one skipped stitch or multiple skipped stitches between normally sewn stitches. The machine may even sew perfectly normal and then suddenly skip a few stitches and resume perfect stitching. Most sewing machine problems can be resolved by re-threading the sewing machine, but skipped sewing machine stitches is a different story. 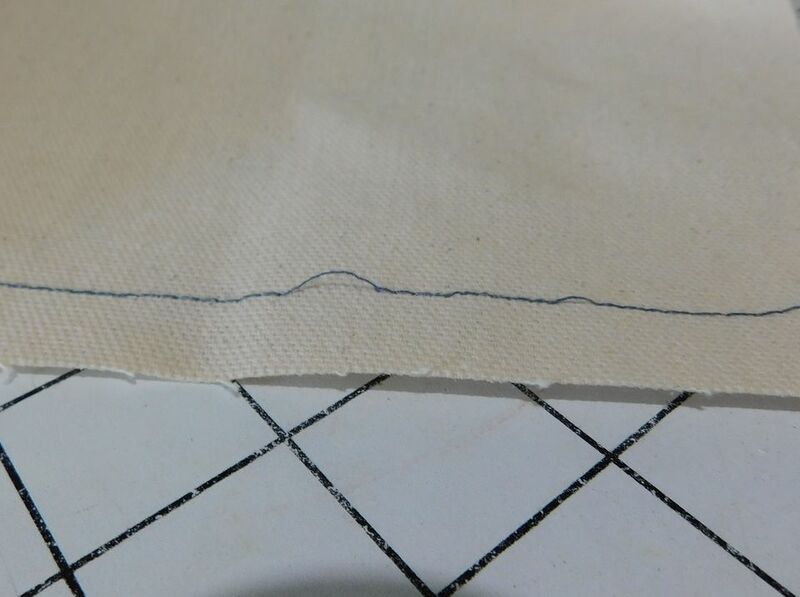 This problem should not be ignored because it weakens the integrity and strength of your sewing. At the very least, repair the problem and re-sew directly over the unreliable sewing or remove the entire line of sewing and start again. Here are the most common causes of skipped stitches and how to solve them. The most common cause of a sewing machine skipping stitches is a problem with the sewing machine needle. The needle may be slightly bent, even if you can not see the bend. It may have developed a dull point from use, or it may have a nick in it. The needle on your sewing machine is a replaceable part and the most inexpensive part of your sewing machine. Your first line of defense to skipping stitches is to change the sewing machine needle, being sure you are using the correct size needle for the fabric you are sewing. Anyone who loves to cook knows there is a difference in pans and ingredients. The same can be said when it comes to your sewing equipment. Using the wrong type of sewing machine needle can also cause skipped sewing machine stitches. A ballpoint or stretch needle should be used for sewing knit fabric while a sharp or all-purpose needle is designed for woven fabrics. There are also many specialty sewing machine needles designed for specific fabric and the combination of a specialty needle and the fabric you are sewing may be needed. If you are sewing leather, you may need to invest in a leather sewing machine needle. You can easily become educated a learn everything about sewing machine needles to avoid frustration. Thread quality is always a consideration. Although many people believe that the quality of thread does not make a difference, microscopic views of the various types of sewing thread could convince them otherwise. If you are using specialty thread and have skipped stitches, it doesn't necessarily mean your machine can't use it, but it can be a challenge. If you notice that the stitching is different on the top and the bottom of the fabric, you will need to adjust your sewing machine tension. Your sewing machine manual is your best source for learning how to adjust the tension on your sewing machine. Almost all sewing machine manuals can be found online if you've lost track of your printed copy. It is worthwhile to always have the manual for your sewing machine on hand to solve problems and get the most you can from your sewing machine.